April showers bring... Lavender flowers! Last weekend I drove down to Kansas City, Missouri, to partake in my friend Rynessha's bridal shower. 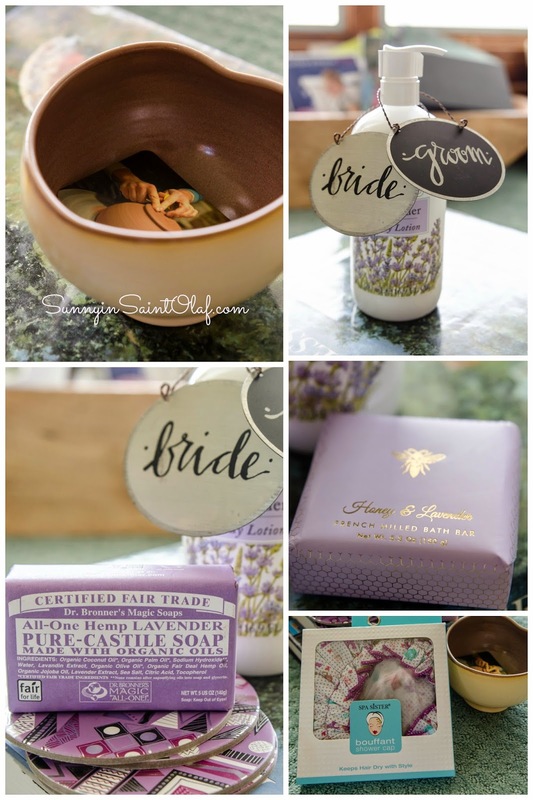 As soon as Rynessha called to tell me she was engaged, I could not wait to shower her with all things lavender! After all, she's soon-to-be "MRS. Lavender"! So I began to gather all things lavender: soaps, lotion, a heart-shaped Kate Chandler pot, and purple coasters and nail polish. I even found the perfect bride and groom decor: a metal initial "L," and an adorable wire basket to complete the package! 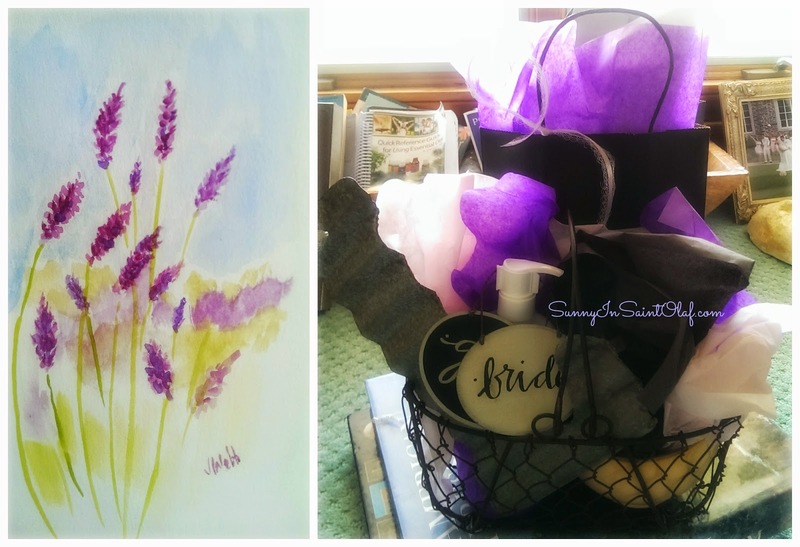 Oh, and of course I had to paint some lavender for the bride-to-be! 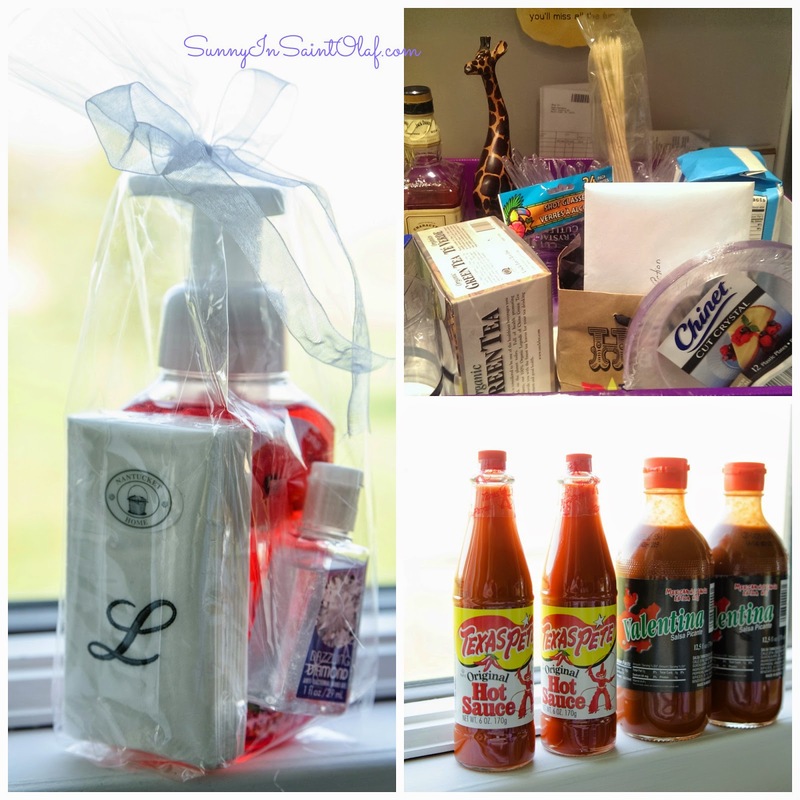 I loved gathering all of these fun things for my sweet friend's bridal shower! It was a beautiful drive through the rolling green hills and blooming trees to Kansas City. Rynessha's Maids-of-Honor did an exquisite job preparing the food for the shower. We had everything from cute veggie cups, sliders, and dips, to homemade banana pudding! 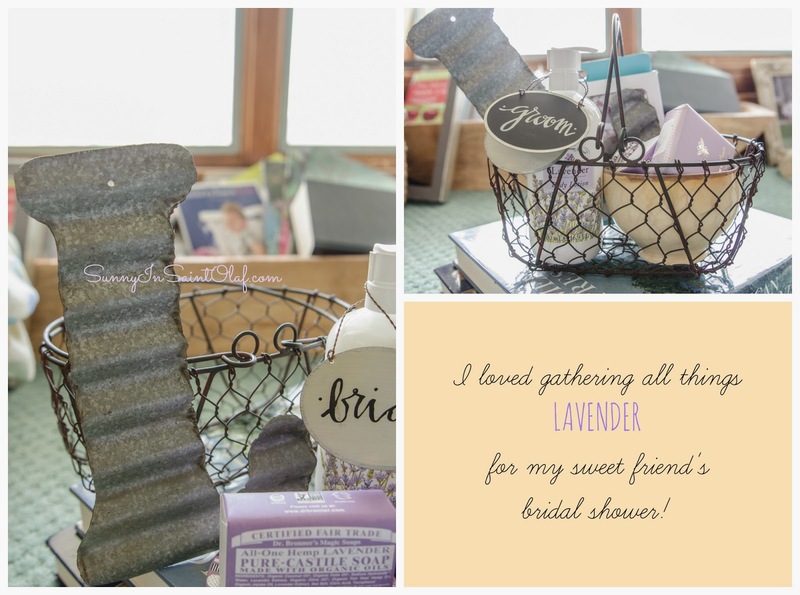 The shower was hosted at Rynessha's close friend's home with beautiful lavender decor, fresh flowers, and the most decadent bundt cake I've ever tasted! Watching Rynessha glow as her dearest family, friends, and future Mom & Granny-in-Law showered her with love made my heart smile. I was so glad to get to spend time with Rynessha and with her family and friends. What a great group of ladies! I sure had a blast with you ladies and cannot wait to celebrate Brian and Rynessha's big day in JUNE!! See y'all soon! Need to shop for a friend of your own? Kate's handmade beautiful pottery can be purchased from Common Clay Studio in Elkader, Iowa. She can even arrange shipping for you out-of-towners!